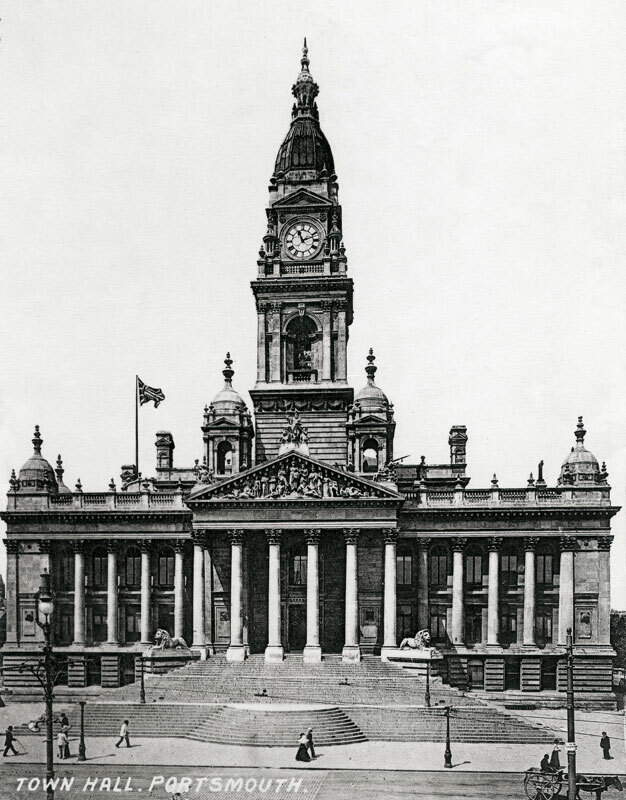 William Hill, the main architect of Bolton Town Hall, got quite a lot of mileage out of the design. 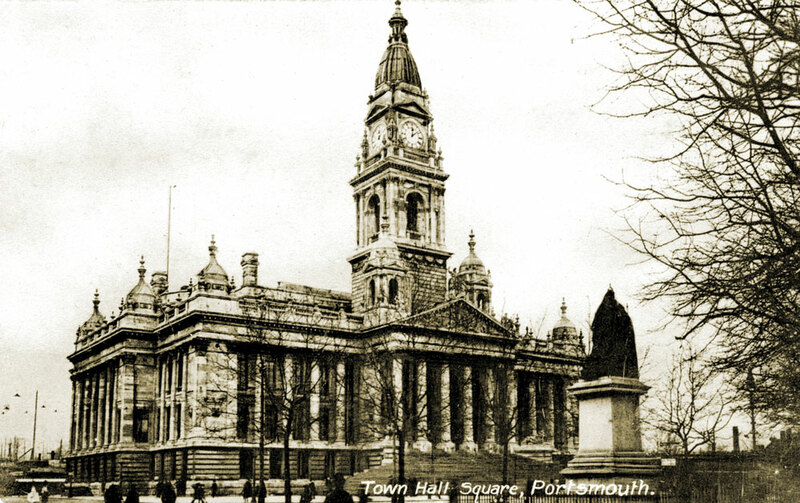 The Town Hall of Portsmouth in Hampshire (later known as the Guild Hall) was externally almost a carbon copy of the original building, although slightly larger and with a few cosmetic differences - most notably the ornate domed towers replacing Bolton's more angular versions and the statues above the portico. Portsmouth councillors had been so impressed with Hill's design for Bolton that they decided to adapt the plans rather than start from scratch. Sadly, William Hill himself did not live to see the opening of the building (again by The Prince of Wales) in 1890, having died the year before. Portsmouth Town Hall front view. 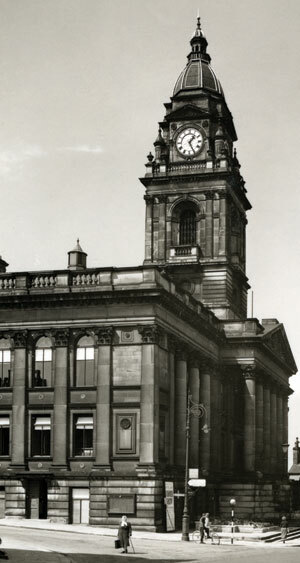 A rather more modest variation on Hill's prototype was used for Morley Town Hall, near Leeds, which was opened in 1895.